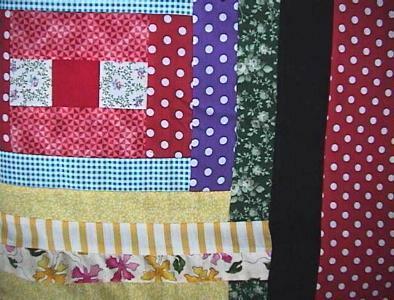 This is a beautiful and colorful new purple, red, yellow, blue, green and white Courthouse Steps log cabin quilt top that I made. 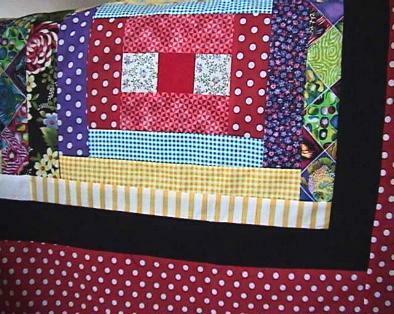 This quilt top has flowers, roses, daisies, turtles, butteflies, fish, and polka dots. Really pretty. Notice that the red and white pinwheels fabric is a pretty repro. Great for a girly quilt or a lap quilt for everyone. Just beautiful. 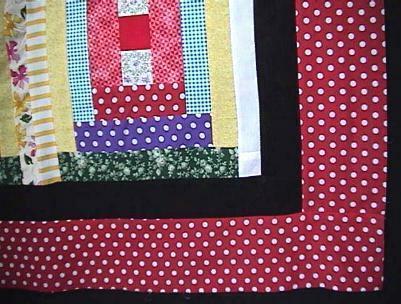 This nice quilt top is made with a gorgeous variety of good quality cotton and cotton/poly fabrics.